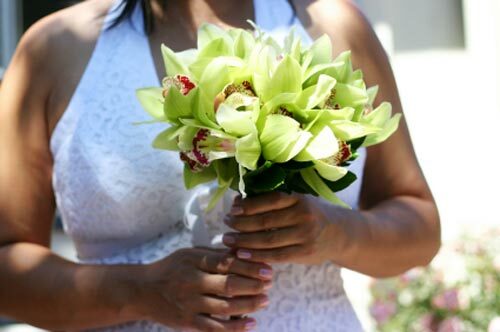 Bridal bouquet ideas and bouquet pictures often feature boldly coloured wedding bouquets, but for a softer yet still elegant look, many brides opt for green bouquets. 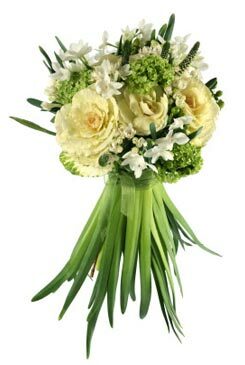 The green wedding bouquet may feature lovely green Crysanthemums with darker green foliage, but are often garnished with soft white flowers or even pearls particularly if pearls feature elsewhere in the gown or veil. 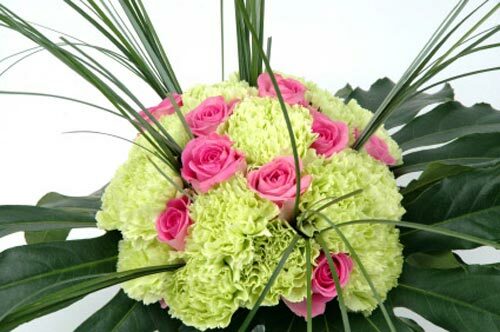 Green bouquets are often part of a larger theme. 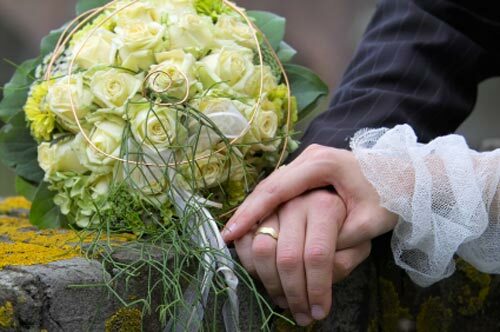 Your wedding may be held in verdant parklands. 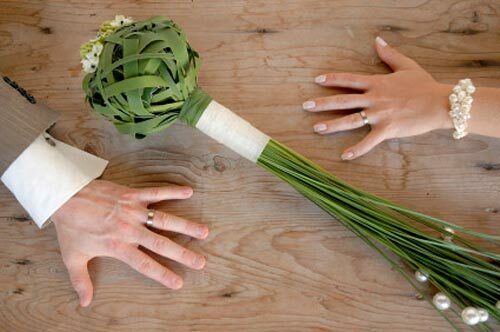 A green bouquet may even be matching a green wedding gown and green wedding cakes or you could even have an Irish theme. 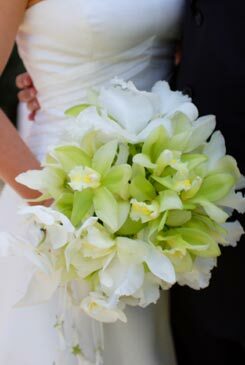 Bridal bouquets are a bride's individual statement on how she feels or sees herself, especially on her wedding day. 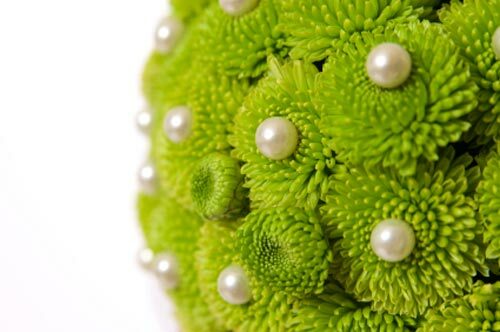 Green is the colour of nature, fertility, growth and harmony. 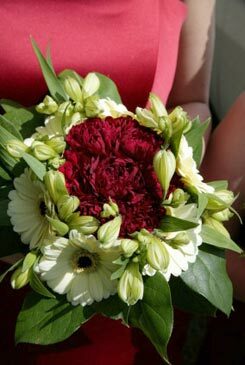 Have a look at some of these magical bridal bouquet pictures. There may be one for your special look.